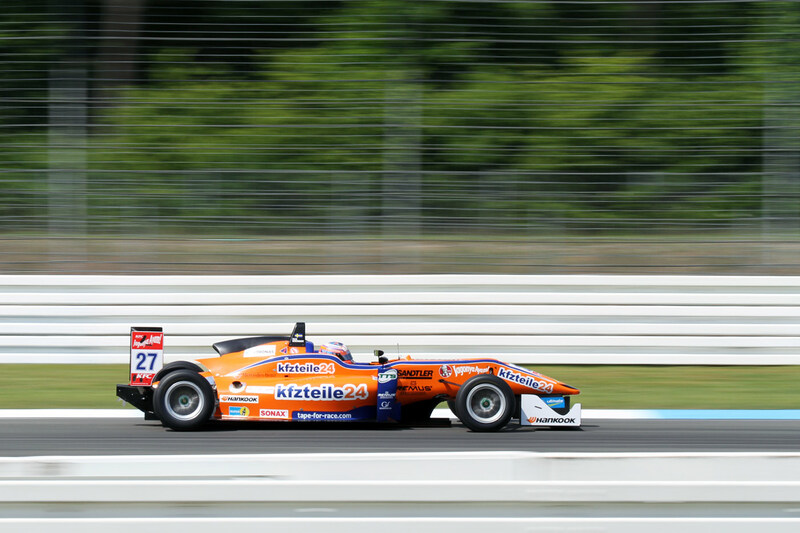 Felix suffered a return of the understeer issues that plagued him in yesterday’s opening race to take the chequered flag in seventh in Race 2 at Hockenheim on Sunday morning. After pole-sitter Max Verstappen was forced out of contention with gearbox issues before the race got underway, Felix started the event from fifth on the grid, and initially ran fourth after a good start. He eventually dropped back to eighth, however, unable to defend his position in the top five as the understeer issues forced him off the throttle at the exit of corners. He was ultimately able to nick past Felix Serrallés with an around-the-outside move at the Spitzkehre, grabbing seventh in the closing stages of the race. Race 3, the final heat of the weekend, gets underway this afternoon.